Do you have questions about our services? Check out the frequently asked questions below. If your question was still not answered give us a call at (912) 691-2227. What should I expect in a counseling session? A certified counselor will review your financial situation with you and provide possible solutions. Together, you will develop a spending plan that covers your living expenses and payment to your creditors. Before leaving, your counselor will give you an action plan with steps to move toward your financial stability. What kind of training does staff receive? 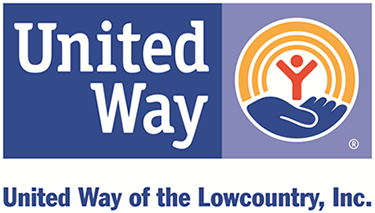 All counselors are certified by the National Foundation for Credit Counseling, NeighborWorks America, SC Department of Consumer Affairs, and the GA Department of Community Affairs. All counselors and staff participate in on-going training throughout the year on ways to better serve clients. It is the policy of the Board of Directors of CCCS that all information received from the client, and the fact that the client is receiving counseling, will remain confidential. Client records are maintained in secured facilities. What fees does CCCS charge? There is no charge for appointments related to spending plans, managing debt, improving credit, avoiding foreclosure, or home buying counseling. There are fees applied to Reverse Mortgage counseling and participation in the Debt Management Plan. Fees can be waived or reduced due to hardship.Consumer education workshops are provided free of charge throughout the community. How does CCCS make money? CCCS receives money from various services including grants, client fees, foundations, United Way, contributions from creditors, contracts, and individual donations. What is a Debt Management Plan (DMP): The goal of this program is to reduce client’s monthly payment to make it manageable for the individual. CCCS contacts each of client’s creditors to determine the lowest possible acceptable payment and interest rate allowed. How do debts get paid off under a DMP: Each month, the client will deposit the agreed amount with CCCS. CCCS then disperses that money directly to the client’s creditors. Is interest no longer charged on my credit accounts if enrolled in a DMP? A counselor will be able to determine if creditors will consider stopping interest charges. Most creditors do not stop interest, but many will lower interest. Is it like dent consolidation? Each credit account remains separate; the client makes one monthly payment to CCCS that will cover all credit accounts. CCCS will then disberse the agreed amounts to each creditor. How long does it take to pay off? Counselors must provide a payout schedule for debts on a DMP that is no longer than 5 years. Clients typically take 3-5 years to pay off their DMP, however, that time can be shortened by making extra payments. Can troublesome bills be added to a DMP? To be most effective in paying off debt, only unsecured debts are eligible for a DMP. Does seeking DMP counseling get reported on a person’s credit report? CCCS does not report to credit reporting agencies or creditors that a client has come in for counseling. Can CCCS save a person’s home? CCCS is a HUD approved housing counseling center. Our HUD Certified Housing Counselors know what options are available whether under a conventional loan, FHA loan, USDA or VA loan. It is often that we can assist in helping clients stay in their homes. What is foreclosure? Foreclosure is a legal process lenders follow to take possession of a home when agreed-upon mortgage payments have not been made. Most lenders begin the foreclosure process when payments are three months or more late, but it can begin sooner. What if someone claims they can stop foreclosure if they are named the homeowner’s representative? Learn as much as you can about the representative and company before you sign anything. Also, seek advice from an attorney ir housing counselor. Never sign any document without reading and understanding it in full. How can CCCS help someone if they can no longer pay their mortgage? CCCS counselors can talk to clients about loan modification to decrease mortgage payments as well as create a balanced household budget for clients to follow to afford payments. Can CCCS fix a person’s credit report? If there are errors on a credit report, the client must notify the credit bureau. If negative statements on a credit report are correct, they can remain on the report for seven years or longer. Can CCCS explain a person’s credit report? Yes. Our certified credit counselors can offer a credit report review. A client and their counselor will review everything listed on their credit report and answer any questions that the client may have, as well as offer guidance on ways to improve a credit report and credit score for free. CCCS does not recommend paying anyone to “erase” or “fix” items on their credit report-anything that can be done to improve your score or report can be done by you for free. Where can someone get a copy of their credit report? How much does it cost? Anyone can get a copy of their credit report by contacting any three of the credit reporting agencies. Anyone can also get a free copy of their credit report by visiting www.AnnualCreditReport.com. What if someone has never had credit? CCCS can offer guidance in the best ways to get credit, the proper use of credit, things to avoid, and how to build good credit. Does CCCS issue credit cards? CCCS does not issue credit cards. We are a non-profit organization, not a lender. How can CCCS help some buy a home? CCCS provides free one-on-one home buying counseling sessions. The counselor will provide clients with a budget, credit report analysis, and an action plan to achieve homeowndership. CCCS also provides a free all day home buying workshop that provides an overview of the home buying process. Upon the the completion of the one-on-one session and/or the all day workshop, the client will receive a certificate that is recognized by down payment assistance programs. How much down payment is required for a home? The larger the down payment, the lower the mortgage payment will be. The size of the down payment depends on the cost of the house, the type of mortgage, a person’s credit history, and other factors. There are also upfront deposits and closing costs that finalize the sale. What if a buyer has very little to put towards a down payment? There are federal mortgage programs that exist to help home buyers that have this problem. Through the completion of home buying counseling or the home buying workshop, someone can receive a certificate that is recognized by one of the down payment assistance programs. Who lends money for homes? Home loans can come from banks, savings and loan associates, credit unions, private mortgage companies, and various government lenders. Different lenders offer a variety of interest rates and loan fees. Talking to an expert helps people find the right loan for their situation. Take your time and look around for the best deal. What information is required when applying for a mortgage? Regardless of income, good financial records are needed when applying for a loan. What is a reverse mortgage? A reverse mortgage is a type of federally insured loan, also called a home equity conversion mortgage. It allows older Americans who meet certain criteria to use the equity in their homes to continue to live independently. Does CCCS offer reverse mortgages? No. CCCS is not a lender, but we offer help to those considering a reverse mortgage by providing information on the costs and benefits. How can CCCS help with reverse mortgages? Certified counselors are qualified to provide one-on-one counseling to interested homeowners to help them understand the way a reverse mortgage works. Counselors review the costs and benefits, financial implications, tax consequences, effects on borrowers heirs and other options available to the homeowners. 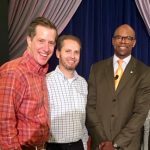 Are workshops free and opened to the public? Many of the workshops are contracted through employers for their employees. There are free workshops open to anyone such as the Credit Clinic and Homebuyer workshops. You can find out about workshops open to the public through our social media pages and our calendar. What is a Credit Clinic? Credit Clinics are free one hour sessions where participants will learn how to pull, read and correct errors on their credit report. 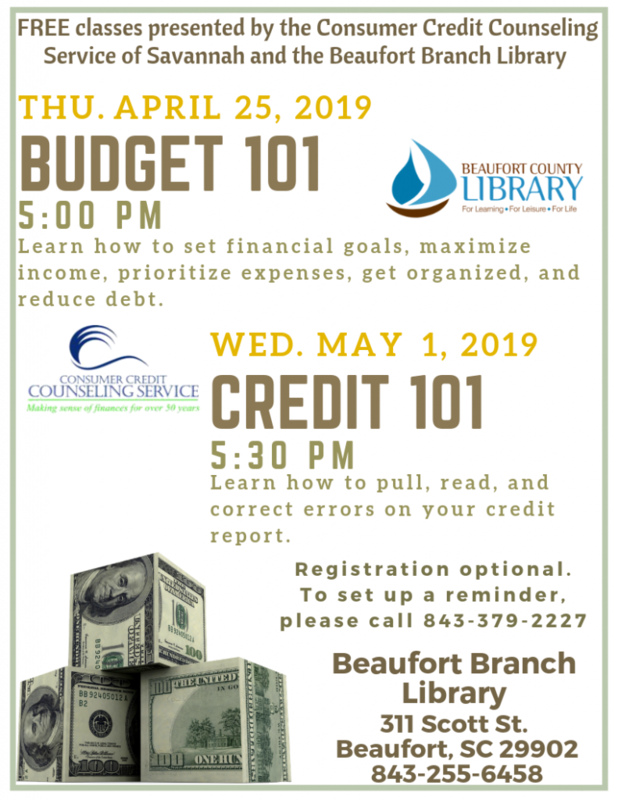 Participants will have the chance to pull there credit reports during the workshop and will also get tips on ways to improve their credit score. What are the topics for workshops? There are seven different workshops: Improve Your Credit, Household Spending Plan, Shopping for Credit, Build Your Savings, Money Management for the Young at Heart, Protect Your Identity, and Smart Cents for Students. All workshop participants receive a guide to use throughout the hour-long workshop. Tips and resources will be provided for the topic being presented. What is a typical financial goal? Examples are: paying off debt, buy a house, buy a car, save a certain amount of money, go back to school, or plan for retirement. How can certified counselors help with financial goals? Counselors can help client establish goals and develop methods and reasonable timelines to achieve them, including addressing credit issues and creating a livable spending plan (budget). Does living on a spending plan (budget) mean scrimping? No, the reason for a spending plan is to help meet fixed monthly costs, and if possible, include some extras. The most important thing is to live within one’s income, save for goals, and use credit responsibly. Can CCCS help set up a spending plan? Counselors can guide the process of setting up and reviewing a personal spending plan. Counselors can make suggestions regarding possible ways to increase net income and decrease expenses. What is bankruptcy? Bankruptcy is a legal process taken by a person (or business) who cannot repay debts. The process can be very complex, but can sometimes be the best course of action for someone. CCCS’ trained counselors consult clients who want to explore the possibilty of bankruptcy and explain the multiple factors involved in taking this course of action. CCCS does not provide legal advice. How long does a bankruptcy stay on a credit report? Under the federal Fair Credit Reporting Law, a bankruptcy can remain on a credit report for up to 10 years. What happens when bankruptcy is filed? There are two different types of bankruptcy. Filing Chapter 7 bankruptcy requires the filer to surrender all assets that are not exempt in their state. Filing Chapter 13 bankruptcy means some assets can be kept but all debt must be paid in three to five years. Is an attorney required to file for bankruptcy? An attorney is not legally required, but the advice of an attorney is generally helpful in understanding the rights and consequences of bankruptcy case.